This outdoor, rain-or-shine battle pits restaurants from northern Delaware (and beyond) against each other in competition for the titles of Best Burger, Best Alternative Burger, and People&apos;s Choice Burger. The event is all ages and all proceeds support the Ministry of Caring&apos;s Emmanuel Dining Room, and the Delaware ProStart Program. Tickets are $50 in advance or $60 at the door, and covers all the burgers you can sample, beer (for adults), soft drinks and music. Local celebrity judges will be on hand as well! 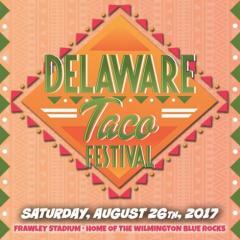 At this 2nd annual event in Frawley Stadium on The Riverfront, you&apos;ll find over 25 of the area&apos;s best restaurants and food purveyors dishing out a variety of their signature tacos for $3! Bars and beverage stations will be serving margaritas, beer, water, soda and more. There will be tequila tastings, kids fun zone, live entertainment, cooking demos, and taco eating contests! Entrance is $19.99 and all food and drink is sold separately. The Wilmington & Western Railroad&apos;s most anticipated family-friendly summer event returns as an all new wild west adventure! Get on board for a fun-filled afternoon on the train as it gets captured by villains, desperados, renegades and outlaws. 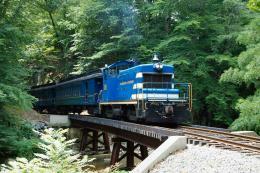 Train ride is approximately 2 hours round-trip and includes a half hour layover at the Mt. Cuba Picnic Grove. Reservations are strongly suggested and tickets are $18 - $20. The August Quarterly celebration is the oldest African American Festival in the nation that celebrates freedom of speech and the right to assembly. Since 1814, Delaware has hosted the August Quarterly Festival to showcase heritage, music, community displays, craft, vendors and food. The "Big Quarterly" festival is held at the Harriet-Tubman Riverfront Park in downtown Wilmington, DE from 2pm - 8pm and includes music, crafts, stage performances, storytelling, African clothing, books, vendors and more!